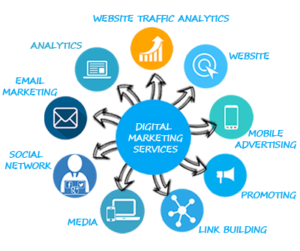 Performance marketing refers to the type of online marketing where advertising and marketing companies are paid only when a conversion (CPA,CPL,CPS,) takes place. 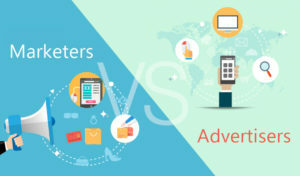 In performance marketing the client pays only for the actual conversions and not for simple banner ads placed on websites thereby ensuring that the client pays only for the actual conversions. Since marketers and advertisers play a big part in making the sales, they get a part of the sale. Performance Marketers are always looking for new ways to reach the right audience and innovating new marketing techniques to make high conversion rates possible. At Conceptol we do things with and for a purpose. We begin the process by first looking at where you are currently instead of asking where you want to be. Once we understand what you expect from us, we start our work on giving you results better than your expectations. The marketing campaigns we create are something people have never seen before and people get attracted to things they have never seen before. We develop custom and targeted ads that are meant to be clicked not scrolled down. For us success means getting things done the way they are meant to be done to get the right results. To get returns better than what you wanted we combine creativity with science and utilize the latest, advanced, and most creative marketing techniques to implement custom marketing strategies to make the clicks you want possible. We use a variety of mediums and sources like Online Advertising (Affiliate, Online Retargeting & Reviews), Social Media Advertising (Facebook, Twitter, Instagram & Pinterest), Influencer Marketing and Offline Advertising. We make sure what we provide you is better than what you expect from your site visitors. “Actions Speaks Louder Than Words” We don’t make false promises or commitments instead we like to prove ourselves worthy with the results we give. When you work with us you don’t just get hard work from our side you get results in the form of constant innovation, growth, and new targets to reach.